In this article I am going to reconstruct Stephen Toulmin’s procedural theory of concepts and explanations in order to develop two overlooked ideas from his philosophy of science: methods of representations and inferential techniques. I argue that these notions, when properly articulated, could be useful for shedding some light on how scientific reasoning is related to representational structures, concepts, and explanation within scientific practices. I will explore and illustrate these ideas by studying the development of the notion of instantaneous speed during the passage from Galileo’s geometrical physics to analytical mechanics. 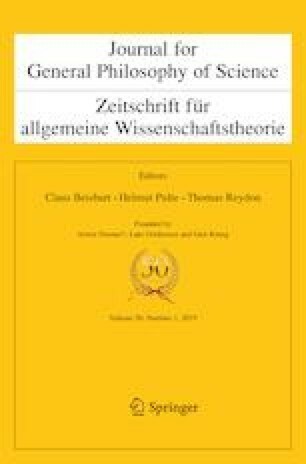 At the end, I will argue that methods of representations could be considered as constitutive of scientific inference; and I will show how these notions could connect with other similar ideas from contemporary philosophy of science like those of models and model-based reasoning. I would like to thank Max Kistler and two anonymous reviewers for comments on an earlier draft of this paper. The funding was provided by ANII (Agencia Nacional de Investigación e Innovación), Uruguay.